Høyvolums popcornmaskin. Kapasitet opptil 34 kg pr. time. Vortex Popcorn™ machine Robopop® 75 ! Fully automatic machine Robopop® 75 with throughput rate up to 34 kg/h (75 Lbs/h). Built on patented Vortex Popcorn™ technology. Easy to operate, maintain, and clean. Delivered fully assembled and ready to operate once plugged in. Vortex Popcorn™! 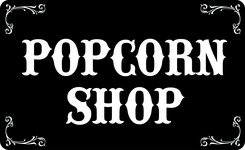 No oil is used for popping; no carcinogens, no trans-fats, and production cost is lower Vortex Popcorn™! Popped corn is immediately removed from the hot area, thus its nutritional value is kept as much as possible Automatic batch-by-batch operation Suitable for both Butterfly and Mushroom corn.